The situation is quite different by country, as some countries had a higher peak followed by a more dramatic drop compared to others. However, generally I would say the excess stock has been mostly cleared from distributors inventories while there are still some retailers sitting on some older product. The consolidation of the market has also meant that there has been a consolidation of brands, which is a good thing. In the speciality channel (brick and mortar and online) there are now very few non-branded or no-name brands left. And most of what is left is from excess stock from prior years. It’s possible we still need to go through Spring/Summer 2019 before the market has really been cleared of excessive older stock. 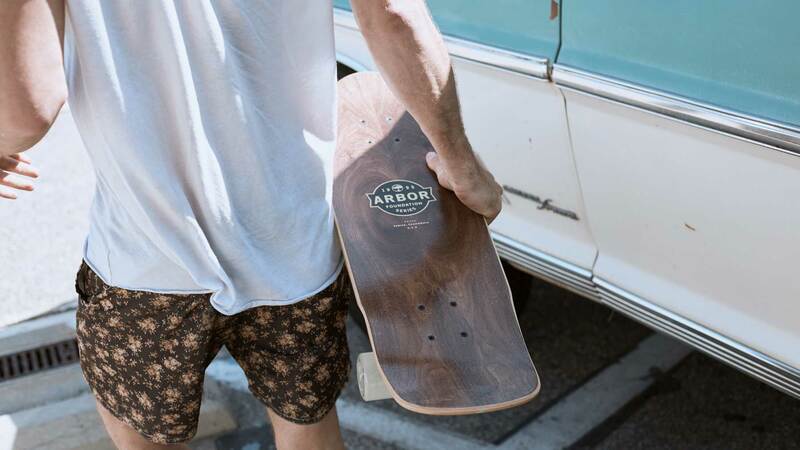 The Arbor line of Complete Skateboards ranges at retail from 110 Euros for entry level and short cruisers to 240 Euros for the top of the line performance longboards. Most of the boards in our line are priced from 150-190 Euros. 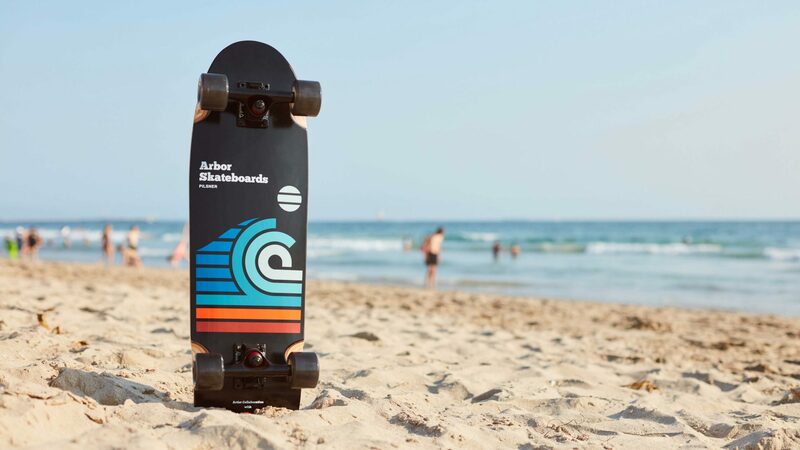 The customer interest in cruisers is already strong, as customers are looking for smaller boards closer to the sizing of traditional street shapes. We think carrying more of these shapes in their stores to reflect the changing landscape, as well as sharing strong cruiser imagery will perpetuate the stoke of these cruiser shapes and further their popularity. Wood has always been at the forefront of our product offering, and continues to be important to us. The majority of our line is topped with our signature wood finish plies, driving our efforts to use sustainable materials that offer heightened quality in construction, and an overall aesthetic appeal. There is definitely significant growth in female participation. To serve that customer, we created the Solstice Collection with a range of shapes selected by women, for women. We have partnered with Boarding For Breast Cancer, with a portion of every board sold going towards breast cancer education, prevention, and early detection. Our swing tags are designed to be silent salespeople, informing the customer of board and component specs as well as offering more insight into the individual collections in our line that our boards are a part of. We’ve always had a wide variety of shapes in our line, serving all aspects of skateboarding, and we continue to refine our shapes to cater to the consumer’s needs. We introduced the Axis 37 as a smaller version of our 40” inch model to accommodate riders that wanted a smaller board in length and width. What are the most important shapes for 2019? Are shapes getting wider? We’re excited to reintroduce our newly refined Oso pool shape, offering a wider standing platform with an old-school vibe. Which technical features are you the most proud of? Our Collaboration with Vibram, using their INVRS material as an alternative grip solution has already been generating a buzz around it, being chosen as Gear Junkie’s Best in Show at Outdoor Retailer this summer. This use of Vibram’s EcoStep material made from a minimum of 30% recycled rubber offers a dampened feel, with additional grip and durability for wet or dry skating with or without shoes. Arbor has always been focused on the environment on every product we make. From using sustainably sourced woods, to replanting Koa trees endemic to Hawaii through our Returning Roots efforts. A portion of every sale goes towards our reforestation efforts, we’re not just replanting trees, we’re rebuilding forests. We have seen a need for a wider range of wheel sizes in the market, and our wheel line continues to grow to accommodate these different needs. We have introduced the Highlands Wheel, part of our Sucrose Initiative, which stands a whopping 75mm tall for faster top speeds downhill, and smoother riding on longer commutes. The new 58mm Axel Serrat Pro Model Wheel is designed to be extremely versatile and meant for hybrid skaters that skate everything from urban environments to bombing hills, designed with our Sucrose Initiative Thane Formula to cover your local hills in thane lines. Our new Vibram Collection is our take on an alternative grip solution, meant for wet or dry skating, while also providing lasting durability and dampening. Vibram’s heritage in making a premium product, using an environmentally friendly material aligns perfectly with Arbor’s overall efforts. The Flagship Series, now with our Premium Palisander Wood finish plies on both the top and bottom of the boards, offers the high end look that Arbor is known for, with premium component, and offered with a wide variety of shapes for all aspects of skating. With kids in mind, Arbor is introducing the Seed Series; a line of street shapes meant for the younger ripper to learn on and grow with. Our Certified Arbor Completes in the Seed Series feature Arbor Revert 90A Wheels, ABEC 5 Bearings and Ace Trucks, making it a quality component build at a very competitive price.